Received: August 17, 2018; Revised: November 7, 2018; Accepted: November 7, 2018.; Published online: February 5, 2019. Although aortic valve repair can reduce prosthesis-related complications, rheumatic aortic regurgitation (AR) caused by leaflet restriction is a significant risk factor for recurrent AR. In this study, we evaluated the long-term results of the leaflet extension technique for rheumatic AR. Between 1995 and 2016, 33 patients underwent aortic valve repair using the leaflet extension technique with autologous pericardium for rheumatic pure AR. Twenty patients had severe AR and 9 had combined moderate or greater mitral regurgitation. Their mean age was 32.2±13.9 years. The mean follow-up duration was 18.3±5.8 years. There were no cases of operative mortality, but postoperative complications occurred in 5 patients. Overall survival at 10 and 20 years was 93.5% and 87.1%, respectively. There were no thromboembolic cerebrovascular events, but 4 late deaths occurred, as well as a bleeding event in 1 patient who was taking warfarin. Twelve patients underwent aortic valve reoperation. The mean interval to reoperation was 13.1±6.1 years. Freedom from reoperation at 10 and 20 years was 96.7% and 66.6%, respectively. The long-term results of the leaflet extension technique showed acceptable durability and a low incidence of thromboembolic events and bleeding. The leaflet extension technique may be a good option for young patients with rheumatic AR. Aortic valve (AV) repair has been performed to a very limited extent because of inadequacies in the existing repair materials and questions concerning the long-term durability of these procedures. The ideal surgical AV repair technique for aortic regurgitation (AR) depends on the etiology, echocardiographic findings, valve morphology, general patient condition, and other factors. AR caused by aortic root or ascending aorta dilatation with normal leaflets can be corrected by valve-sparing root replacement or ST junction remodeling with an appropriately sized graft [1,2]. However, in more complex cases with valvular pathology, AV repair remains difficult. A functional classification of AV abnormalities was recently proposed as a guide to aid in the diagnosis of AR patients and to identify the most appropriate surgical technique for each abnormality . According to this classification, type III AR is due to leaflet restriction, which may occur in bicuspid, degenerative, or rheumatic valvular disease. It is known to be a significant risk factor for AR recurrence after repair . Although the leaflet extension technique could be performed in patients with type III AR caused by rheumatic valvular disease, few studies have examined the long-term outcomes of AV repair using leaflet extension . In this study, we evaluated the 20-year long-term clinical outcomes of the leaflet extension technique for type III AR caused by rheumatic valvular disease. This study was approved by the Institutional Ethics Committee/Review Board of Seoul National University Hospital, which waived the requirement for informed patient consent due to its retrospective nature (IRB approval no., 1806-085-951). Between March 1995 and April 2016, we performed AV repair in 186 patients. The leaflet extension technique was performed in 46 patients (24.7%). Of them, 32 patients (mean age, 30.2±12.6 years) with rheumatic AR were enrolled in the present study. All patients had pure AR, and 8 patients had combined mitral valve disease. The preoperative transthoracic echocardiographic findings showed isolated AR without aortic stenosis, with the following grades of AR: moderate in 12 patients (37.5%) and severe in 20 patients (62.5%). We performed the leaflet extension in case of symptomatic patients and desire for operation. Furthermore, patients who had combined mitral valve disease felt subjective symptoms easily within the same degree of AR. The patients’ baseline characteristics are summarized in Table 1. The surgical technique of leaflet extension has been described previously . Cardiopulmonary bypass was established by cannulation of the ascending aorta and both the superior and inferior venae cavae. After transverse aortotomy, all 3 AV cusps were examined thoroughly. Leaflet extension was not attempted in cases of severe calcification and severe leaflet thickening. The general surgical technique was the same as described previously . Leaflet extension was performed in 3 leaflets for 29 patients (90.6%) and in 2 leaflets for 3 patients (9.4%). Additional procedures on the AV included commissurotomy to improve leaflet motion in 7 patients (21.9%) and leaflet slicing in 3 patients (9.4%). The concomitant procedures included mitral valve repair in 8 patients (25%), surgery to correct arrhythmia in 2 patients, and tricuspid valve repair in 1 patient (Table 2). Coumadin for postoperative anticoagulation was not required in cases where the leaflet extension technique was performed using autologous pericardium, except when persistent atrial fibrillation occurred. The mean cardiopulmonary bypass and aortic cross-clamp times were 158.0±41.7 minutes (range, 99–247 minutes) and 120.7±34.5 minutes (range, 69–212 minutes), respectively. In all cases, transthoracic echocardiography was performed preoperatively. AR was graded on a scale of 0 to 4 according to the height of the regurgitant jet relative to the left ventricular outflow tract height, measured from the parasternal long axis just below the AV. AR severity was graded as 0 for no regurgitation, I for trivial regurgitation, II for mild regurgitation, III for moderate regurgitation, and IV for severe regurgitation. Upon completing AV repair in the operating room, transesophageal echocardiography (TEE) was used to assess AV competence and AR grade. No patients had an AR grade of II or higher postoperatively on intraoperative TEE and none needed immediate reoperation. All patients underwent echocardiography, at a mean of 7 days (range, 3–14 days) after surgery. A routine echocardiographic evaluation was performed at the surgeons’ discretion. The last follow-up echocardiographic evaluation was performed at 13.9±6.3 years after surgery. All patients underwent regular postoperative follow-up in the outpatient clinic at 3- to 4-month intervals. Clinical follow-up was closed on June 30, 2018. Clinical follow-up was complete in 31 patients (96.9%) and the mean follow-up duration was 18.8±5.1 years (range, 3.0–23.6 years). Aortic valve-related events (AVREs) included the following events, according to the guidelines : (1) development of AR ≥grade III, (2) AV reoperation, (3) infective endocarditis, (4) a composite of thromboembolism and bleeding, and (5) cardiac death. There were 4 late deaths, including 1 cardiac death. In the case of cardiac death, the patient expired due to sepsis after an AV reoperation due to infective endocarditis of the repaired valve 7 years after the leaflet extension technique was performed. The overall survival rates at 10 and 20 years were 93.5% and 87.1%, respectively (Fig. 2). On univariate analysis, age was the only significant risk factor for overall death (p=0.001) (Table 3). AVREs occurred in 15 patients, including the development of grade III or greater AR (n=10), AV reoperation (n=12), infective endocarditis of the AV (n=3), and a composite of bleeding and thromboembolism (n=1). The freedom from AVREs at 10 and 20 years was 96.7% and 61.6%, respectively (Fig. 3A). In the univariate analysis for overall AVREs, age, the number of extended leaflets, and a left ventricular ejection fraction <40% were significant risk factors for AVRE. Progression of AR to grade III or IV was noted at the last follow-up echocardiography in 11 patients, of whom 4 patients had severe AR and 7 patients had moderate AR. The freedom from moderate or greater AR at 10 years was 97%. The single patient who took warfarin because of atrial fibrillation experienced a bleeding event during follow-up. The bleeding focus was the abdominal wall, and he underwent surgery for hematoma evacuation. There were no embolic or hemorrhagic cerebrovascular events in the mean 13.6±6.8 years of follow-up. During follow-up, 12 patients underwent AV reoperation. The reasons for reoperation were recurrent AR (n=3), progressive AV stenosis (n=6), and infective endocarditis (n=3). The mean interval to reoperation was 13.1±6.1 years. Reoperations were performed in only 4 patients until 14 years after leaflet extension surgery. Of them, 2 patients underwent early reoperation due to infective endocarditis, whereas 2 patients underwent reoperation within 14 years due to early progressive AR caused by native leaflet calcification. However, after 14 years, the reoperation rate increased dramatically due to disease progression of the native valve and degenerative changes in the pericardial patch. Intraoperative findings revealed severe calcification of the autologous pericardial leaflet in 6 patients after a mean 17.0±2.1 years of follow-up (Fig. 4). The freedom from reoperation at 10 and 20 years was 96.7% and 66.6%, respectively (Fig. 3B). Age was the only significant risk factor for reoperation (hazard ratio, 1.087 per year; 95% confidence interval, 1.023–1.156; p=0.007) (Table 4). The present study revealed 2 main findings. First, the leaflet extension technique is safe and feasible for patients with pure AR due to rheumatic heart disease. Second, the leaflet extension technique shows good long-term clinical results in terms of acceptable durability and a low incidence of thromboembolic and bleeding events. AV repair has a long history, parallel to the development of cardiac surgery . AV repair has known advantages over valve replacement in terms of a low incidence of thromboembolism and infective endocarditis, as well as hemodynamic benefits . For these reasons, interest in AV repair techniques has increased, promoting AV preservation. Among the various AV repair techniques, leaflet extension techniques have been used to extend or replace deficient cusps to enhance the coaptation area [4,9]. In 1958, Lillehei et al. introduced single cusp enlargement and bicuspidalization using an Ivalon sponge; thereafter, various types of leaflet extension using autologous pericardium, bovine pericardium, Teflon, and the fascia lata have been attempted. However, all materials except autologous pericardium have shown unsatisfactory early results or no long-term results [11–14]. A few reports in the literature have described the clinical outcomes of the leaflet extension technique using autologous pericardium. Grinda et al. investigated the leaflet extension technique in 89 patients who underwent triple leaflet extension with autologous pericardium. They reported 5-year actuarial survival and freedom from reoperation rates of 96% and 92%, respectively. Similarly, Bozbuga et al. reported on 46 patients, primarily adults with rheumatic valve disease undergoing leaflet extension with autologous pericardium. According to their report, actuarial survival at 8.6 years was 98%, but the reoperation rate was 20% (4.3% per patient-year). We previously reported that the survival rate at 13 years after leaflet extension surgery was 92.6%. However, considering that patients with pure AR due to rheumatic causes are usually young, and the reoperation rate increased starting 14 years after leaflet extension surgery at our center, we thought that further long-term results should be reported to evaluate the real outcomes of the leaflet extension technique. In this study, there were no cerebral thromboembolic or bleeding events during the mean 13.6±6.8 years of follow-up. This is the most powerful advantage of the leaflet extension technique using autologous pericardium. However, as bioprosthetic valves also do not require anticoagulation, except in the immediate postoperative period, in order for the leaflet extension technique to confer an actual advantage, it should yield results with comparable or even greater durability than those obtained using bioprosthetic valves. In our technique, the leaflet tissue was not removed to preserve the natural hinge mechanism. We thought that it might be helpful to decrease the calcification of the autologous pericardium by reducing its movement, thereby increasing its durability. Bourguignon et al. reported that the rates of freedom from reoperation at 10 and 20 years after AV replacement with a tissue valve were 88.3% and 38.1%, respectively. Of note, the values reported in this study were higher than those of the previous study. In addition, the mean age in our study was 20 years younger than that in the previous study. Considering that the rate of structural valve deterioration is higher in patients who are younger at the time of AVR , the leaflet extension technique appears to yield more durable results than AV replacement using a bioprosthetic valve. The present study is a retrospective observational study conducted at a single institution. Therefore, the number of patients enrolled was relatively small with respect to drawing definitive conclusions and identifying significant risk factors for survival and AVREs. More experiences with larger numbers of patients are required to obtain more reliable information. In conclusion, the long-term results of the leaflet extension technique for patients with rheumatic AR were good in our study, in terms of acceptable durability and a low incidence of thromboembolic and bleeding events. We suggest that this technique be considered in the management of rheumatic AR, especially in selected young patients. This study was supported by a Grant of the Samsung Vein Clinic Network (Daejeon, Anyang, Cheongju, Cheonan; Fund no. KTCS04-114). Fig. 1. Comparison of AR grade (A) and NYHA functional class (B) between preoperative status and status at discharge. AR, aortic regurgitation; NYHA, New York Heart Association. Fig. 2. Kaplan-Meier curve for overall survival. Fig. 3. (A) Freedom from AVRE. (B) Freedom from reoperation. AVRE, aortic valve-related events. Fig. 4. (A, B) Heavy calcification of an autologous pericardial leaflet. Yacoub, MH, Gehle, P, Chandrasekaran, V, Birks, EJ, Child, A, and Radley-Smith, R (1998). Late results of a valve-preserving operation in patients with aneurysms of the ascending aorta and root. J Thorac Cardiovasc Surg. 115, 1080-90. De Oliveira, NC, David, TE, and Ivanov, J (2003). Results of surgery for aortic root aneurysm in patients with Marfan syndrome. J Thorac Cardiovasc Surg. 125, 789-96. El Khoury, G, Glineur, D, and Rubay, J (2005). Functional classification of aortic root/valve abnormalities and their correlation with etiologies and surgical procedures. Curr Opin Cardiol. 20, 115-21. Jeong, DS, Kim, KH, and Ahn, H (2009). Long-term results of the leaflet extension technique in aortic regurgitation: thirteen years of experience in a single center. Ann Thorac Surg. 88, 83-9. Akins, CW, Miller, DC, and Turina, MI (2008). Guidelines for reporting mortality and morbidity after cardiac valve interventions. J Thorac Cardiovasc Surg. 135, 732-8. Vilela Batista, RJ, Dobrianskij, A, and Comazzi, M (1987). Clinical experience with stentless pericardial aortic monopatch for aortic valve replacement. J Thorac Cardiovasc Surg. 93, 19-26. Ahn, H, Kim, KH, and Kim, YJ (2002). Midterm result of leaflet extension technique in aortic regurgitation. Eur J Cardiothorac Surg. 21, 465-9. Perry, GJ, Helmcke, F, Nanda, NC, Byard, C, and Soto, B (1987). Evaluation of aortic insufficiency by Doppler color flow mapping. J Am Coll Cardiol. 9, 952-9. Lillehei, CW, Gott, VL, DeWall, RA, and Varco, RL (1958). The surgical treatment of stenotic or regurgitant lesions of the mitral and aortic valves by direct vision utilizing a pump-oxygenator. J Thorac Surg. 35, 154-91. Senning, A (1967). Fascia lata replacement of aortic valves. J Thorac Cardiovasc Surg. 54, 465-70. Stolf, NA, Puig, LB, and Zerbini, EJ (1980). Late results of replacement of cardiac valves by dura-mater allografts. Int J Artif Organs. 3, 104-7. Al-Halees, Z, Gometza, B, and Duran, CM (1998). Aortic valve repair with bovine pericardium. Ann Thorac Surg. 65, 601-2. Duran, CM, Gometza, B, Shahid, M, and Al-Halees, Z (1998). Treated bovine and autologous pericardium for aortic valve reconstruction. Ann Thorac Surg. 66, S166-9. Grinda, JM, Latremouille, C, and Berrebi, AJ (2002). 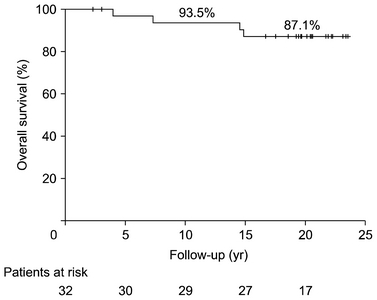 Aortic cusp extension valvuloplasty for rheumatic aortic valve disease: midterm results. Ann Thorac Surg. 74, 438-43. Bozbuga, N, Erentug, V, Kirali, K, Akinci, E, Isik, O, and Yakut, C (2004). Midterm results of aortic valve repair with the pericardial cusp extension technique in rheumatic valve disease. Ann Thorac Surg. 77, 1272-6. Bourguignon, T, El Khoury, R, and Candolfi, P (2015). Very long-term outcomes of the Carpentier-Edwards Perimount aortic valve in patients aged 60 or younger. Ann Thorac Surg. 100, 853-9. Rahimtoola, SH (2010). Choice of prosthetic heart valve in adults an update. J Am Coll Cardiol. 55, 2413-26.